Bolle 100% Leather ski gloves are manufactured to compare with other high-end racing gloves at a fraction of the price. To get this quality from another company would cost you close to a hundred dollars or more. Padded Knuckles and Padded Fingers make this a great glove to protect any racer from the elements. 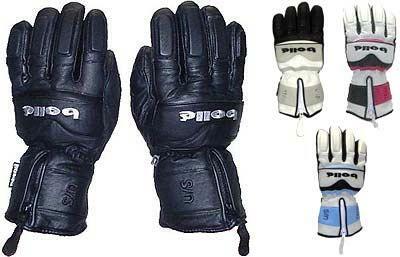 These Ski Gloves have Thinsulate and fleece liners to make them a very warm pair of ski gloves.